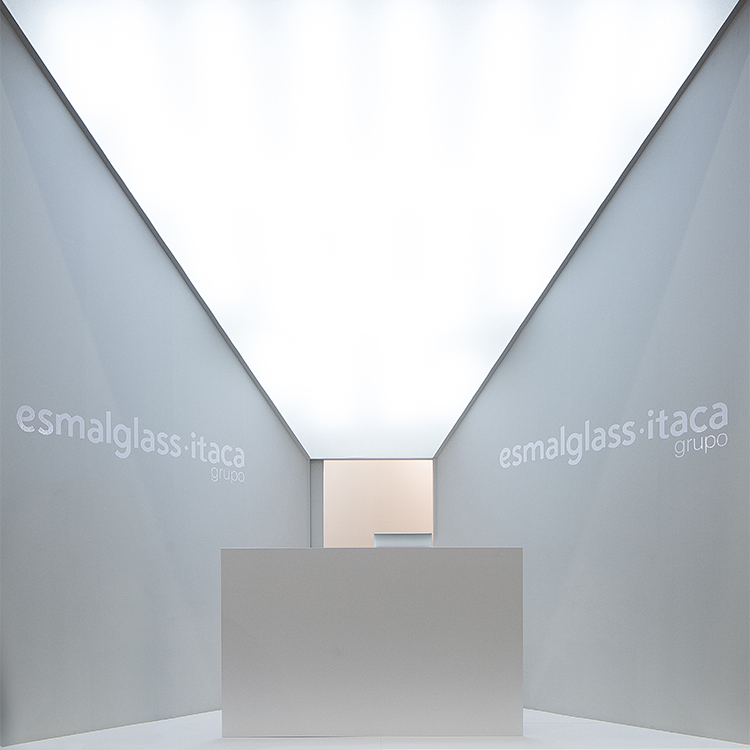 We were proudly chosen to design the Esmalglass – Itaca Group stand for Cevisama tile fair 2015, at Valencia (Spain). 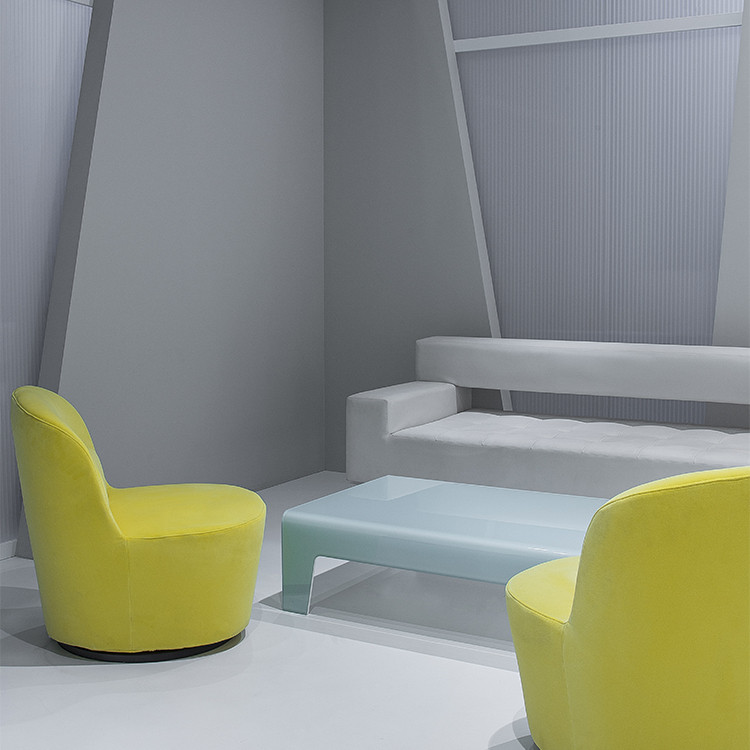 The space was minimal and geometrical and we felt like we needed to express a lot of different perspectives. So we chose to build two very different spaces: a living room and a dining room, divided by a long, neutral corridor. 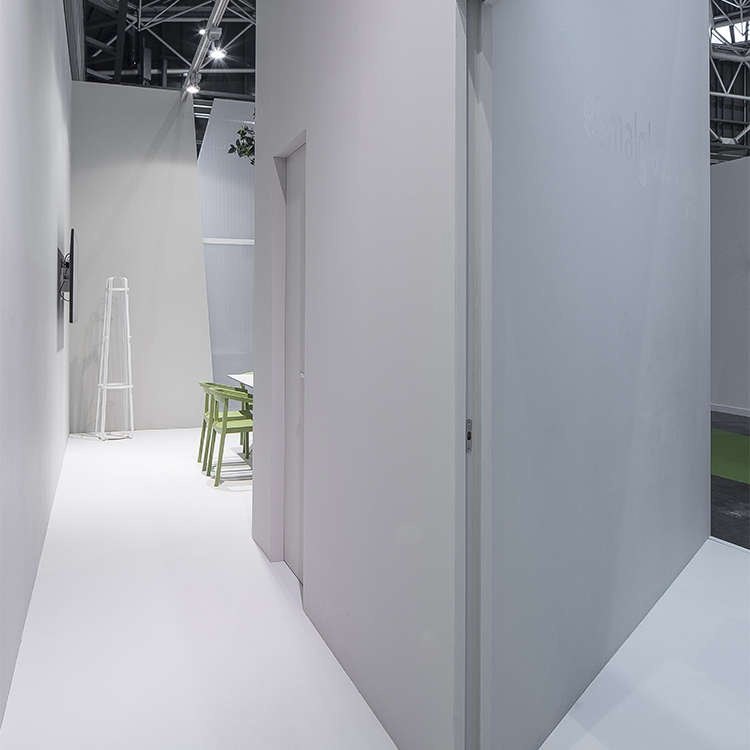 The entrance to the stand was created by a light-screen behind the reception table, which illuminated the whole area with a diffuse, white source of light. 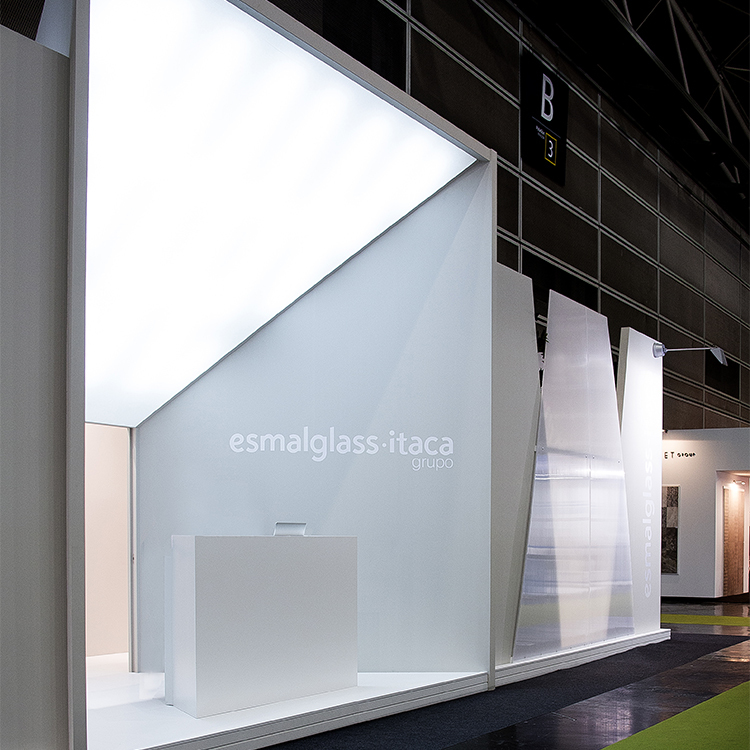 Esmalglass is a very technology-thinking brand, and their designs needed to be represented that way: with futuristic mixed materials. 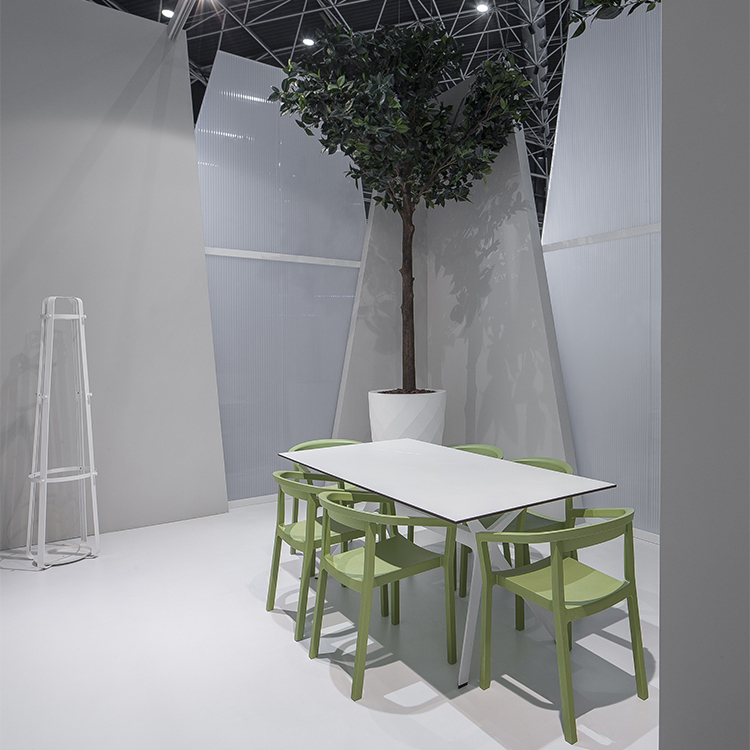 We used texturized polycarbonate and plain concrete walls for the structure and more natural furnishing and colours to dress them and give it the contrast we wanted.